FLOCKTOBERFEST, the world’s greatest hunting expo and sale, is returning to Bass Pro Shops at the Pyramid in downtown Memphis starting Friday, October 5. Thousands are expected to attend the 10-day celebration, headlined by a free concert from country music star Chris Janson and special guest Lucas Hoge on Friday, October 12. Starting Friday, October 5 through Sunday, October 14, FLOCKTOBERFEST provides guests access to dozens of free seminars and demonstrations by the top names in hunting and waterfowling, special exhibits, celebrity appearances and a variety of activities for all ages and skill levels. Key events include the fourth annual Big Cypress National Duck Calling Championship featuring competitors from across the country; special appearances by Justin Martin from Duck Commander; the Super Retriever Series dog jumping competition and Major League Eating’s World MoonPie-Eating Championship. The festival atmosphere also offers local food, drinks and entertainment. On Friday, October 12, Nashville recording artist Chris Janson hits the stage for a free concert open to the public. Janson, a rising star in country music with popular hits Buy Me a Boat and Fix a Drink, is the youngest living member of the Grand Ole Opry. He’ll be joined by popular country music singer/songwriter Lucas Hoge, opening the show at 6 p.m. CST. For a full schedule of events and times, visit www.basspro.com/flocktoberfest. Located in downtown Memphis, Tennessee along the Mississippi River and famous Mississippi Flyway, Bass Pro Shops at the Pyramid offers the largest assortment of waterfowl and related hunting equipment ever assembled alongside a wide selection of other high-quality outdoor gear. Bass Pro Shops at the Pyramid is also home to the Ducks Unlimited Waterfowling Heritage Center, a free wetlands education museum showcasing the history of waterfowling and wetlands conservation. Created in partnership with Memphis-based Ducks Unlimited, the world’s leader in wetlands and waterfowl conservation, the Center allows visitors to learn more about the incredible wildlife found along the Mississippi Flyway and the importance of conserving wetlands. The Center educates guests on the variety of waterfowl species, offers access to waterfowl experts and an exhaustive look at the largest collection of waterfowl decoys alongside taxidermy, calls and sporting art. All activities will take place at Bass Pro Shops at the Pyramid. Due to outdoor activities, parking directly outside the Pyramid will be limited on certain days. Additional details including a confirmed schedule of events, participating sponsors and more can be found online at www.basspro.com/flocktoberfest. FLOCKTOBERFEST attendees can enjoy the event from Big Cypress Lodge. This 103-room wilderness hotel inside Bass Pro Shops at the Pyramid is the first hotel inside any Bass Pro Shops location. The rustic-elegant and well-appointed guest cabins and suites capture the spirit of the great outdoors including special treehouse suites and cabins featuring interior and exterior views. Make your reservation today at www.big-cypress.com. Make your plans now to visit the great state of Tennessee this fall. Log on to www.tnvacation.com/guide to get started today. Envisioned by Bass Pro Shops founder Johnny Morris, known as the Walt Disney of retail, Bass Pro Shops at the Pyramid is a dynamic, immersive adventure experience located inside a massive transformed sports arena and the most unique retail location in the world. 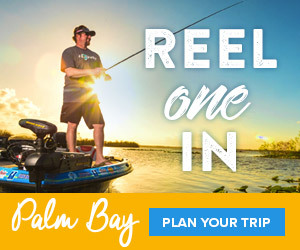 In addition to a vast assortment of outdoor gear including the greatest selection of waterfowl equipment anywhere, the Pyramid includes Uncle Buck’s Fish Bowl & Grill, an “underwater” bowling alley and restaurant, a wilderness hotel called Big Cypress Lodge, nearly 600,000 gallons of water features, a cypress swamp with 100-foot-tall trees, the interactive Ducks Unlimited Waterfowling Heritage Center, and The Lookout, a breathtaking glass-floored cantilevering observation deck at the top of the 32-story steel structure that offers one-of-a-kind views of downtown Memphis and the Mississippi River. Store hours are 8 a.m. to 10 p.m. Monday through Saturday and Sunday 8 a.m. to 7 p.m. Admission to the store is free. Select attractions require a fee. Visitors can see this one-of-a-kind retail experience inside the iconic Memphis Pyramid located at 1 Bass Pro Drive, Memphis, Tennessee.